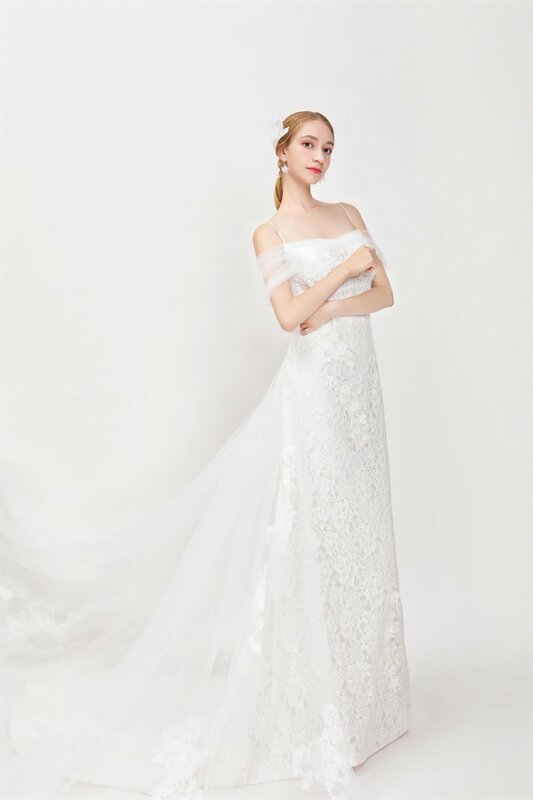 The Ariel collection includes a variety of eye-catching styles for the daring bride who is looking to go all-out with a unique bridal gown. This collection includes a variety of eye-catching styles for the daring bride who is looking to go all-out with a unique piece. 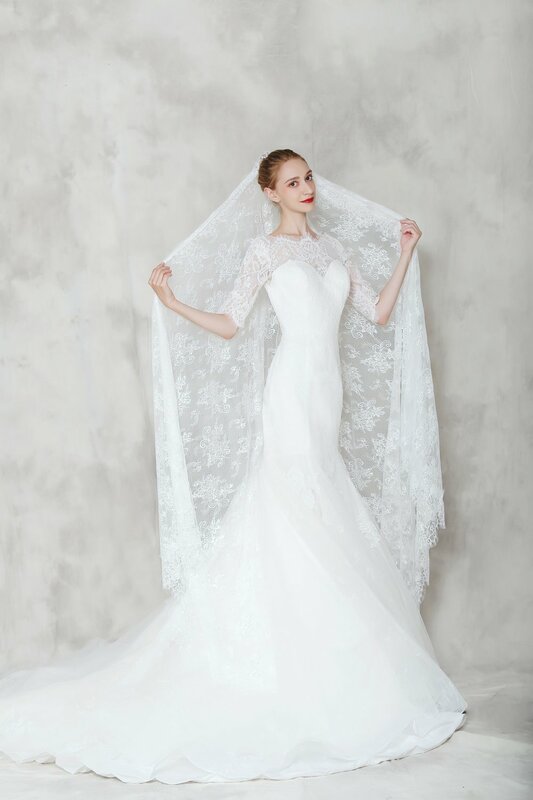 This line is designed for couples who are comfortable with a medium price range, and the average gown cost is $2500. The choice of fabrics featured in this line is lightweight and airy, so the dress moves with the wearer. You don’t have to sacrifice comfort for style. Some dresses feature full-body lace, or shimmering satin while tulle adds sheer layers and volume to skirts. Most of the dresses in this collection are a trumpet or mermaid style that accentuates your curves, while floating trains and custom headpieces can be worn in different ways to create a variety of styles. The trains lengthen the body and balance the curves accentuated by the trumpet and mermaid silhouettes. Some of them are bouncy while others are sleek and scalloped, sweeping around the body in a magnificent arc. A well-designed train purposefully balances the look from head-to-toe to flatter every form.